"Alpha Anywhere was central to everything. With it, I was able to deliver Avis exactly what they wanted, and at the right price." Avis Car Rental operates one of the world's best-known car rental brands with approximately 5,500 locations in approximately 170 countries. Avis has a long history of innovation in the car rental industry and is one of the world's top brands for customer loyalty. 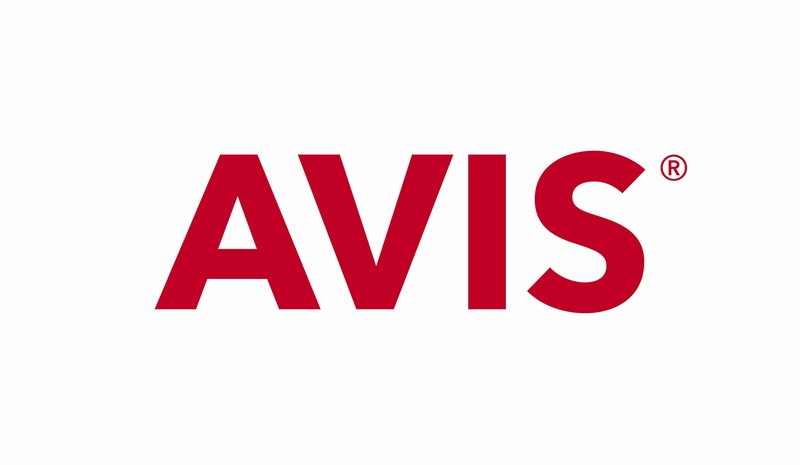 Avis is owned by Avis Budget Group, Inc. (NASDAQ:CAR), which operates and licenses the brand throughout the world. An owner of 30 Avis rent a car locations in northern New Jersey was looking for a better way to manage the car rental process, including customer check-in, signatures on rental contracts, communicating and synchronizing data with Avis's central mainframe computer, car fleet management, and tracking when cars are rented from one location but returned to another. The owner contracted Alpha Software certified partner Farber Consulting Group to develop and deploy a comprehensive car rental web solution. The Farber Consulting Group provides CRM and ERP software implementation services as part of its Enterprise Applications Solution (EAS) practice. The firm also offers custom software development and services including converting Microsoft Access databases to Web-based applications that can run on the desktop or as mobile applications. Check the Farber Consulting group how they easily converting ms access to web while they use Alpha Anywhere development tool as their major tool. "Key to everything was Alpha Anywhere's image capabilities, because without it, we wouldn't have been able to have the signature capability, which is central to the rental process." After analyzing the project's requirements, Doron Farber, owner of the Farber Consulting Group, chose Alpha Anywhere to build the solution, because it offered the most robust set of features compared to competitors, and allowed him to quickly build the application, including linking to the Avis mainframe and taking advantage of low-cost hardware instead of expensive, dedicated terminals and computers. "With Alpha Anywhere, you can write complex applications using only a minimum amount of code, and that was a big draw for me," he says. "Alpha also updates Alpha Anywhere regularly, so I knew that the more I used it, the more capabilities it would have over time." One of the most serious problem in the Avis's franchises' existing system was that it was difficult to update and manage, and not flexible enough by adding new features. It had been developed in C++, and required a great deal of work even when minor changes needed to be made to the application, for example, when standardized contracts were changed in Avis's central headquarters. To solve those problems, Farber came up with the idea of building a Web-based solution using Alpha Anywhere, called the Avis Car Rental Contract Manager. With a Web-based solution, software would not have to be managed on multiple computers. Instead, only one installation on the main server was required, thus you update the code only in one area. Because the solution was Web-based, it would be easy to continually make and roll out changes and updates. "The flexibility and speed with which you can develop and make changes using Alpha Anywhere offers tremendous benefits," he says. "With it, I was able to quickly develop a system that much better met the franchises' needs." "The productivity gains I was able to get were tremendous. I would have had to devote three times the amount of time to some features if I were using some other method of development." With Alpha Anywhere, Farber put together a comprehensive car rental software system that could use off-the-shelf PCs and monitors rather than rely on expensive dedicated terminals, saving the franchise a significant amount of money in hardware outlays. "It uses PCs touchscreens for the customers renting cars," he says about the new application. "The Avis agent handles all the work on his monitor, and a second monitor facing the customer allows the customer to read the contract and sign it using a touchscreen. After a customer signs the contract, it is saved to a MS SQL database." The contract info initially is passed from the Avis main frame into MS SQL 2012 using the Multi Part MIME protocol. Which means we grab the whole contract as text while using the Alpha Anywhere capability and then we parse it into different info including the Customer name, contract number, Method of Payment, the millage and much more. At this point the data could be processed by Avis and slice and dice any info. The solution has two servers, if one goes down then the other one picks up. That also could be done using MS SQL 2012 replication capability which copied data from server A to Server B. Obviously we have another installation of Alpha Anywhere in the second server. That setup was tested when Avis had to update the main server and the entire 30 locations had to move to the backup server without any glitch whatsoever. "Key to everything was Alpha Anywhere's image capabilities, because without it, we wouldn't have been able to have the signature capability, which is central to the rental process," Farber says. "That was a crucial part of the development." Alpha Anywhere also saved Farber a great deal of time in development work. "The productivity gains I was able to get were tremendous," he says. "I would have had to devote three times the amount of time to some features if I were using some other method of development." Because the solution is a Web-based one rather than one running complex code, it is also more stable than the previous system, he says. "It launched in December, 2013, and there hasn't been a single crash since then," he says. "It is far more stable than the previous system." Farber also lauds the flexibility of Alpha Anywhere to allow him to build a mobile version of Avis Car Rental Contract Manager, as the Avis franchises leverage tablets and phones. And without Alpha Anywhere, he says, he would not have been able to build a system that met Avis's needs so quickly and at a low cost. "Alpha Anywhere was central to everything," he says. "With it, I was able to deliver Avis exactly what they wanted, and at the right price." With the new Alpha Anywhere digital ink control, the Farber Consulting Group, Inc. easily updated the Avis car rental project. Performance increased at least 100 times more and Avis can store each car rental contract as an SVG file, basically a very small text string. Read how this was accomplished. "It saves money, gives Lilliput more flexibility in the way it works, reduces lost stock, and improves customer satisfaction."